Travel from Amsterdam to Tibet How do you travel from Amsterdam to Tibet? We warm welcome Holland travelers to travel to Tibet! Based in Lhasa, Tibet Travel Expert Service help many travelers from Amsterdam Netherlands. Here we are happy to shares the important Tibet tour information with distinguished travelers from Netherlands. 1) How to get to Tibet from Amsterdam, Netherlands? As all people know that, to enter Tibet, you have two destinations options to travel to before entering Tibet. One is China and another one is Nepal. The gate way city to fly from mainland China to Lhasa is Chengdu. There are about 20 flights between Lhasa and Chengdu a day. It is fairly convenient for Netherlands travelers to fly to Chengdu, Shanghai or Beijing. 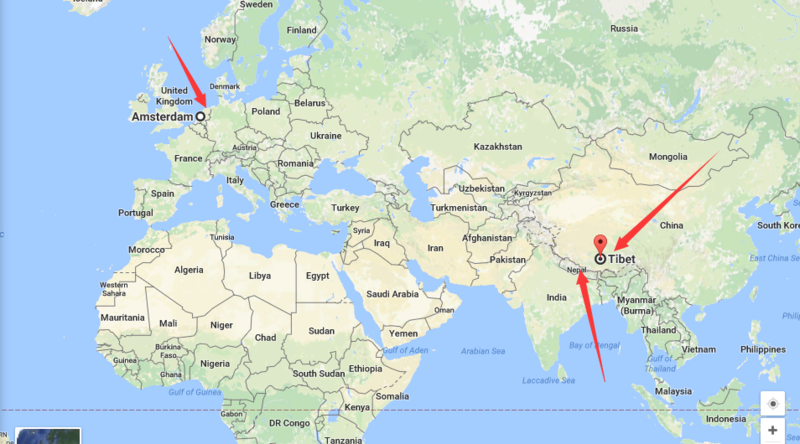 There is flight from Amsterdam to these cities in China. And the Tibet travel permits can be delivered to traveler's hotel in these cities before flying to Lhasa. 2) Both Private tour or Group tour for Holland travelers are optional. For travelers from Netherlands (Holland) to Tibet, you do not have to join a group tour, as you can have your own private tour if you prefer. Even one person can book a tour of Tibet. And since 2015, there is no more restriction on travelers nationality and group size. However group tours of Tibet are more economical way considering the expensive transport in Tibet. 3) For Solo Netherlands travelers to Tibet For Solo Netherlands travelers travelling to Tibet, you can also get Tibet permit, but be sure you will be part of an organized tour. It does not mean you have to book everything with travel agency. E.g you can book your own hotel in Lhasa, you can have your own free days in Lhasa, but when you travel outside of Lhasa, you will need to book a tour guide, and or a car when necessary.